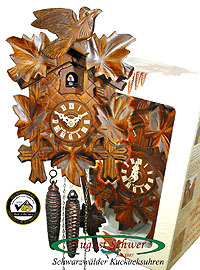 Cuckoo Clock with 1-day movement / running time (mechanical). No shipping costs within Germany and the European Union ! This is a beautiful carving clock model. The clock comes in a very nice gift-box. 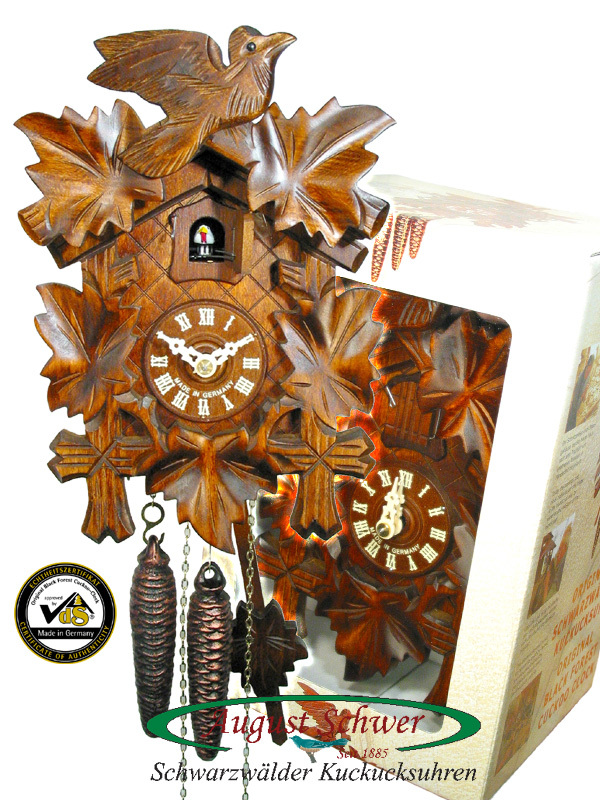 This clear front gift-box with cuckoo clock motives on the sides is specially made for cuckoo clocks. Mechanical movement with wooden pendulum, 2 x 275g weights.